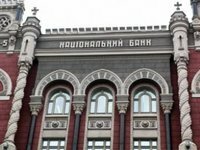 Ukrainian banks maintain positive expectations regarding the growth of corporate lending, as well as lending to the population over the next 12 months, according to the Survey on Credit Conditions posted on the website of the National Bank of Ukraine (NBU). According to the central bank, 76% of the banks surveyed expect an increase in the corporate loan portfolio over the next 12 months, with the corresponding expectations remaining for the sixth consecutive quarter. Some 69% of the polled banks expect the growth of lending to individuals, which is the highest percentage since the beginning of the survey in 2015. In January-March, banks more actively than a quarter earlier approved applications for loans to small and medium-sized enterprises (SME) and consumer loans, responding to the growth in demand. "The revival of lending to the population and SMEs in the first quarter was positively influenced by the banks' lowering interest rates and lengthening the terms of lending," the NBU reported on the website. Increased competition between the banks and non-banking institutions, as well as economic growth and a reduction in inflation expectations led to the softening by small banks of requirements for individual borrowers during the first quarter. At the same time, the banks, primarily large ones, raised requirements for collateral on business loans and tightened restrictions imposed by credit agreements, especially for large enterprises. Several large banks also reported an increase in demand for mortgage loans.